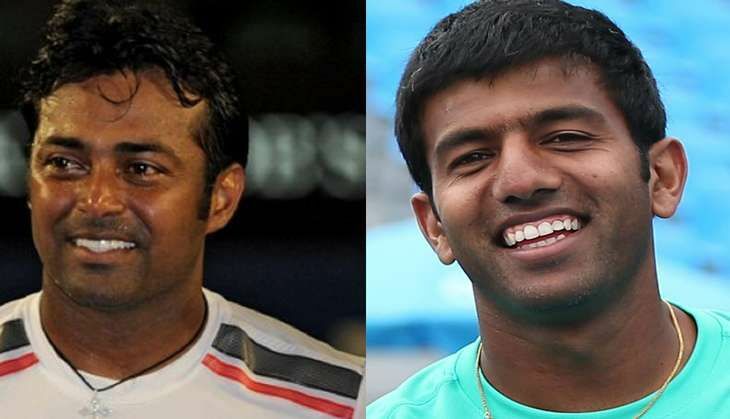 Following the All India Tennis Association (AITA)'s decision to pair up Rohan Bopanna with Leander Paes for men's doubles category for Rio 2016 Olympics, the former has asserted that this will not fare well, as their styles are completely different and do not complement each other, which is why he wanted to be paired with Saketh Myneni in the first place. In a statement, Bopanna said that he had chosen Saketh based on a careful weighing of whose game will complement his at Rio, given his own skills, strengths and weaknesses. "As you will see from my track record, I have consistently had success with partners who have big weapons, a serve, a forehand. In that sense, the ranking of the player in doubles is far less important than what he brings to the partnership. I have played with over 70 partners in my career and that has given me the ability to gauge what type of player works well with me and what doesn't," he said. Bopanna further stresses that he admiresr Leander Paes and his many achievements, but asserted that unfortunately they have not been able to put together a good combination, and that he does not believe their styles of play are either compatible or complementary. "Considering that this is a team event where two individuals need to gel together to do well, regardless of individual achievements, it is the team and the combination that matters. The AITA Selection Committee has now made its decision after due consideration of my representation and has selected the team for the Olympics. I respect this decision and look forward to participating in Rio," the statement read. Earlier, Leander Paes' dream of making his record seventh Olympic appearance was fulfilled as AITA has paired him with Rohan Bopanna, despite the latter's desire to team-up with Saketh Myneni in the men's doubles event in the upcoming Rio Olympics. Confirming the news, AITA chief Anil Khanna said that the selection committee has decided to pair Bopanna with Paes for the best interest of the Indian tennis. "He (Bopanna) has given his reasons to selection committee on why he feels Saketh could be a better doubles partner. He has praised Leander Paes. He appreciated the contribution that Leander had made.At the same time, Rohan said that he wants to represent the nation with great pride and wants to do best for the nation," Khanna said after the AITA meeting. "The Selection Committee, giving due respect to Rohan Bopanna, decided that the best bet for Indian tennis to win a medal at the Olympics would be Leander Paes and Rohan Bopanna as a doubles players," he added. Meanwhile, the committee has decided to nominate Bopanna and Sania Mirza as the best medal hopes in the mixed doubles competition.